Rain or shine we will be having the event!!! Daytime and Evening activities all indoors. Daytime Event Free to Attend! Jewelry, handmade items, decorations for the home or office, as well as information about many of the fine organizations in the Madison area that offer services to our community. Enjoy live music as Groove lights up the stage! Enjoy samples from 25+ local area restaurants and craft breweries. Silent Auction Items for bidding/raffle items for winning! Tickets $20 if you buy before the evening event $25 at the door. Madison Market 9AM-2PM "Daytime Free to attend"
Kim Neely sponsorships, vendor spots.256-325-8317 cell#256-763-0558 email kim@madisonalchamber.com . 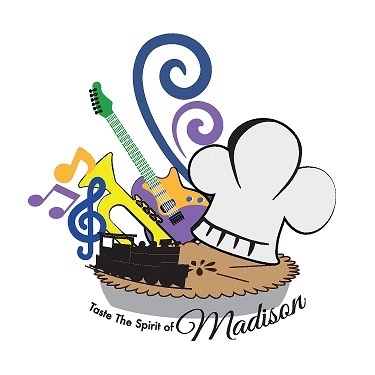 Felecia Rodgers-food & Beer participants for Tasting event 256-325-8317 cell#256-603-8159 email felecia@madisonalchamber.com Pam Sparks for tickets and payments.